Strasbourg (France) 6 April 2016 - Participating in the launch of the Council of Europe Strategy for the Rights of the Child (2016-2021), SRSG Santos Pais recalled the significance of the Strategy to accelerate progress in the implementation of the Sustainable Development Goals and in creating a European wide circle of non-violence to secure children’s protection from neglect, abuse and exploitation. “With the 2030 Agenda, the Council of Europe can play an even more strategic and influential role by supporting Member States in the integration of the elimination of violence against children in their national frameworks.” said SRSG Santos Pais. “It is indeed High Time to end Violence against Children. I therefore invite you all to join our High Time to End Violence against Children Initiative and create a Europe-wide circle of non-violence. The sum of all our efforts should be zero. Zero violence. “ added SRSG Santos Pais inviting member states to join the campaign recently launched by her office. 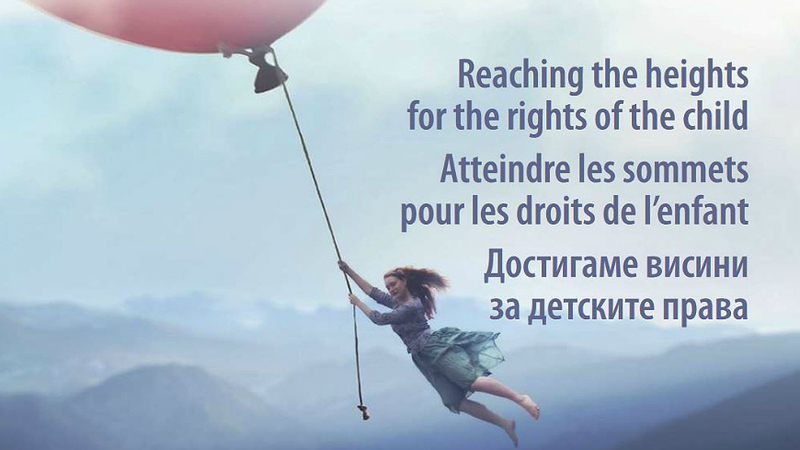 The new strategy, launched this week in Sofia, Bulgaria, establishes five key priorities for the years ahead: Equal opportunities, Participation of children, a life free from violence, Child-friendly justice and Children’s rights in the digital environment. The two-day event brought together more than 300 participants from high-level delegations from the Council of Europe member States, United Nations, international organisations, NGOs, ombudspersons for children as well as young people.